Letter to John Insch at Strathdon from a Mr Shand, Fern Bank, Montgarrie. The stamp is of King Edward VII who reigned 1901 -1910 thus dating the card. 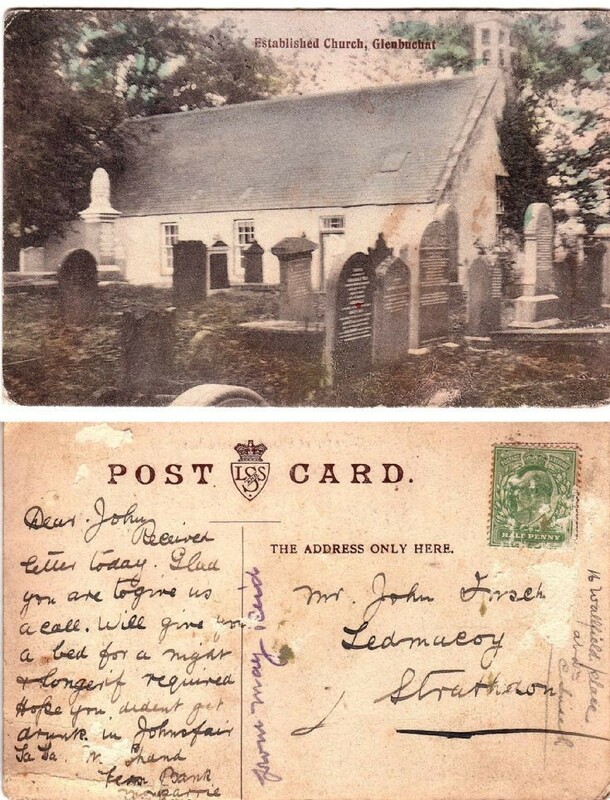 The card was donated by Mrs Muriel Wood who is related to the Glenbuchat Inch family. John Inch might therefore been Jean's brother.